ActiveCampaign is not only for email marketing, but is also for marketing automation and sales CRM. Learn how to use Active Campaign forms on your WordPress site. In your WordPress admin, go to 'Formidable' → 'Add-Ons' and click the 'Install' button for the Active Campaign WordPress plugin. Once the Active Campaign WordPress plugin is installed, a new global settings tab and form action will be available. Your WordPress site needs to be linked to your ActiveCampaign account. Go to ActiveCampaign.com and log in. Go to Settings → Developer on the ActiveCampaign dashboard. In a new browser tab, go to Formidable → Global Settings → Active Campaign. 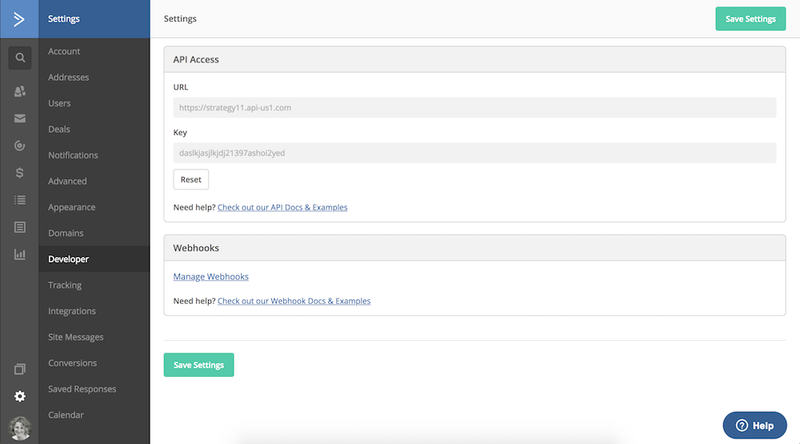 Copy and paste your ActiveCampaign API URL and API key on the Formidable Global settings page. Next the form is ready to be mapped to ActiveCampaign fields. Go to Formidable → Forms and go to the settings page for your form. Click on the Settings → Form Actions tab. Click the Add to ActiveCampaign icon to add an ActiveCampaign action to your form. Give your ActiveCampaign action a Label for easy reference. This label will only be seen on the back-end. 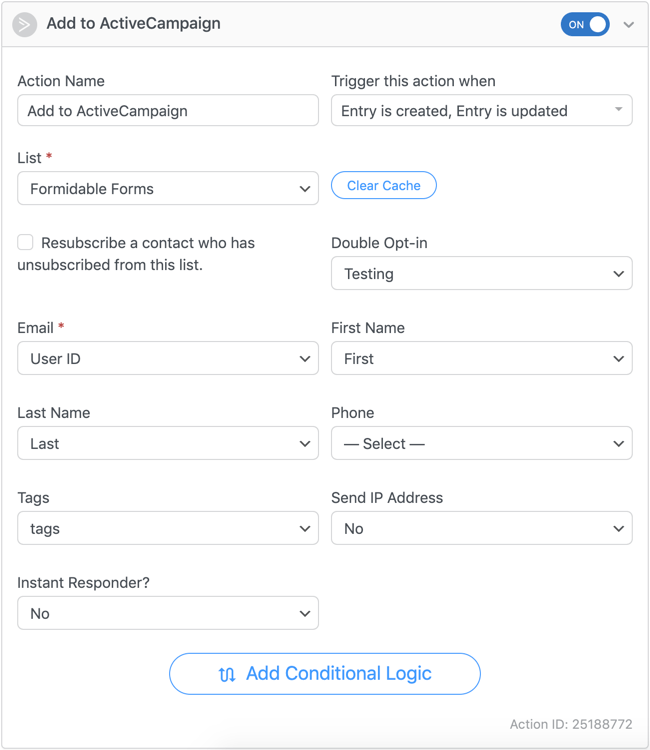 Select the ActiveCampaign list and connect fields from your form with the ActiveCampaign fields. Be sure to map all required ActiveCampaign fields. 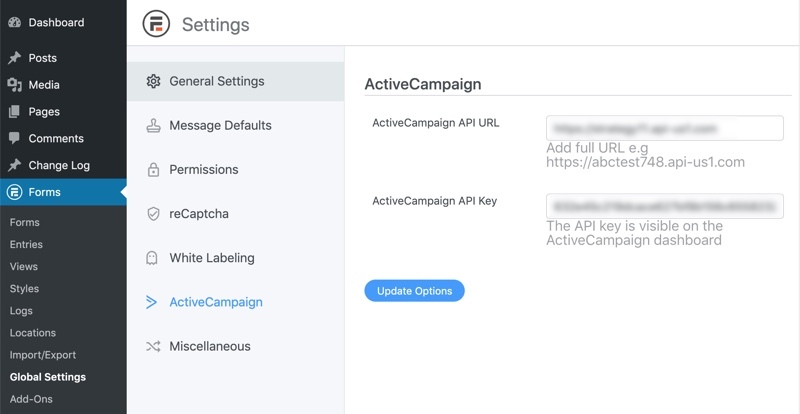 Note: The tags field can be any comma-separated string or checkbox field, where each comma-separated value will be a different tag in ActiveCampaign. Submit the form and a new contact will be added in ActiveCampaign.